Ali makes these now and mom made them when we were small. If I can con Ali into making them I’ll take pictures. In a mixing bowl, cream butter and sugar; beat in egg and vanilla, beating until smooth and creamy. Gradually blend in dry ingredients. Remove about 2/3 of the cookie dough to a floured surface. 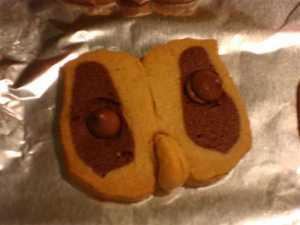 To the remaining dough, add the cooled melted chocolate, blending well. This entry was posted on October 31, 2014, in Uncategorized. This entry was posted on October 31, 2014, in Uncategorized and tagged Halloween, wicca, witches. And in whose arms will I rest. 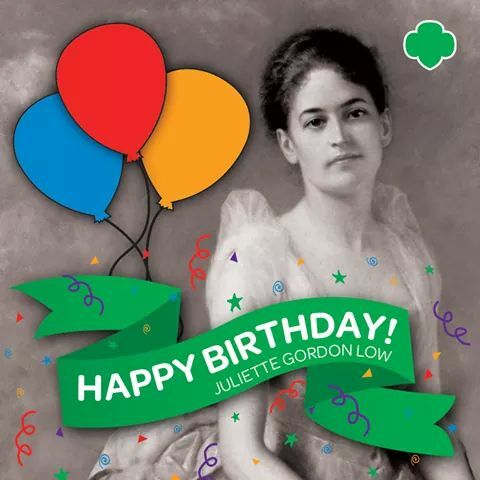 Happy birthday Juliette Gordon Lowe! Brighid, light my way to see my path. This entry was posted on October 31, 2014, in Uncategorized and tagged druid, pagan, prayer, samhain, spells, wicca. For some unknown reason the holiday of Samhain is a dancing holiday to me. But not just dancing to dance, dancing to express in movement what I can’t in words. So I give you the Samhain Dances playlist.